I swear I say it every month but seriously, March has flown. Like really, really flown. It got to March 31st and I wasn't entirely sure if my iPhone calendar was having me on. How have 31 days come and gone already? I loveeee Spring. It's by far my favourite season. 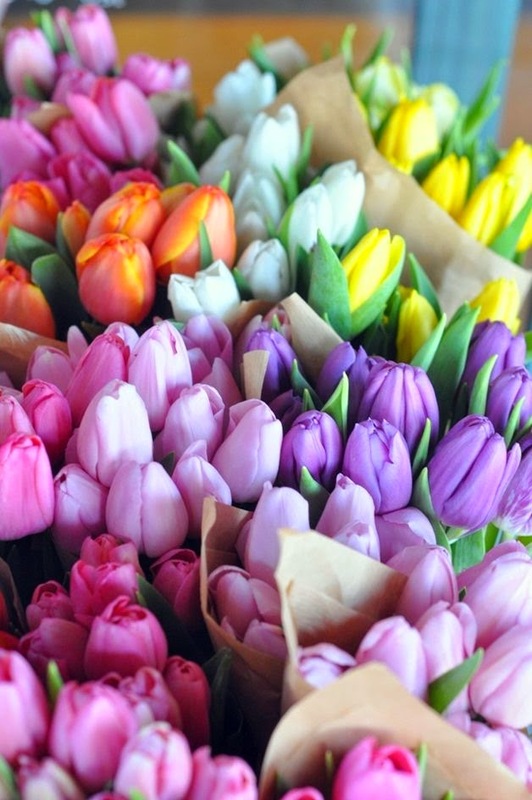 The daffs and the tulips are out, the sun's shining, the days are lighter, it gets a bit warmer. OFFT! This month has been another extremely busy one - which is blatantly obvious from my lack of consistency with blogging. I'm finding it really difficult to prioritise my time at the moment now that work is more demanding. Any free time I have is spent at the gym, asleep or with my friends because, well, they're the things I need to keep me sane when work gets a little overwhelming. You see, this month is the first month of my new role as I've been promoted. It's incredibly exciting and sometimes I have to pinch myself - I'm 23 and I've got this opportunity. Mind. Blown. I've actually had to look in my diary to tell you what I've been up to this month because, to be honest, all I feel like I've done is go to China. China was for a week mid-end of the month so it feels like that has been my March. Apart from China, I had a lovely trip to Sheffield to Peddler and to visit my friends, I went to London for the London Shoe Show in Kensington and also a cool little exhibition in Shoreditch called #MadeByYou - a Converse exhibition filled with polaroids, telling the stories of individual pairs of Converse. Two of my weekends were taken up with airports/travel and I managed to squeeze in a visit to my best friend in Manchester. I've also been eating A LOT of tapas. I love tapas; I really should have been Spanish. April is a VERY busy one. And, my favourite month. Why? BECAUSE IT'S MY BIRTHDAY. On the 21st I will be 24, which kind of strikes the fear of God in me. I know it's not old by any means but I can remember turning 21, which feels like last year. How have these years passed? It really is true that time goes by much faster as you get older and it makes me realise I really need to cherish those important and special moments. So, this month - over Easter I will be heading up to Sheffield to catch up with Emily, Ollie and Matt as well as spending a couple of days with my family. The following weekend I'll be heading down to Brighton for a blogger meet up with the lovely Emily, Mike, Sophie and many others, all arranged by the beautiful Rosie. I'll also be catching up with my friend Harriet who I met whilst travelling. The following weekend will be my birthday weekend, spent in a log cabin in Sherwood Forest with a group of friends, then during the week of my birthday will be a trip to York with my parents. That scarily brings us to the final weekend of April, which I imagine will be spent in London. I have quite a bit of time off during the weeks, which will be spent dog walking (when back home), doing Yoga and, next week, the tapas cooking class I won in the competition hosted by Taylah. I CANNOT WAIT. 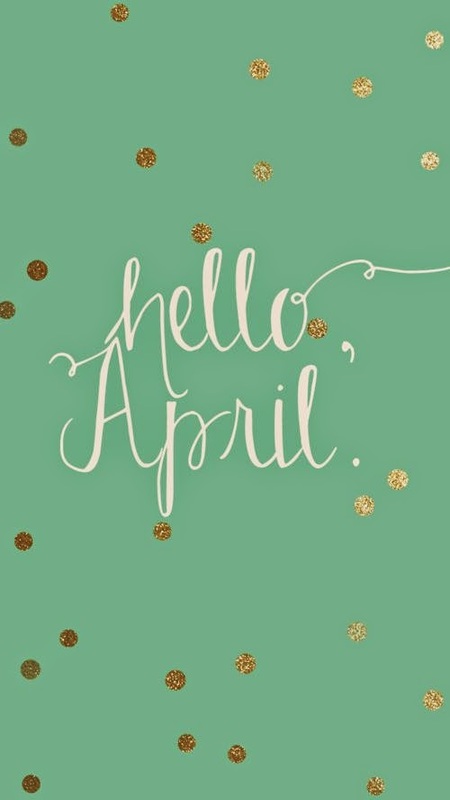 See, April is FUN!!! But March, March has taught me a lot. About myself, the things I want, to be confident, to believe in myself. And that I can bloody do whatever I put my mind to. I kinda forgot about my goals this month because you know, life. BUT I managed to complete 3/5 - I read TWO books, I exercised at least 3 times per week and I completely went with the flow. I embraced experiences, took risks, made spontaneous decisions. And I had a lot of fun, A LOT of fun. The trip planning and list making - kinda failed. I am, however, planning Morocco for August and I'm not sure when Amsterdam will happen but hopefully it'll be before Christmas. I had look at going over the May Bank Holiday but I think it's too close to it now. WELL, this is way more rambled than I'd intended but I suppose the whole lifestyle/catch up posts are what I'm going for at the moment. I have still being eating out a lot and cooking regularly but I can't seem to find it in me to sit down and type up all of these recipe posts at the moment. Plus, I miss baking. So, so much. I need to get some done over Easter fo' sho'. Start a new class at the gym - my gym is a nightmare to try and book classes at. People are SO on the ball and book a week before so if I think 'oh, I fancy a spin class this week'. NOPE, not happening. So I want to start a new class - either spin or body pump. Spring Clean - The time has come. I need a clear out. A BIG ONE. I need to be cut throat. I maybe even need to face the dreaded eBay selling. I keep spending a lot of money and need to curb it, or at least get rid of a load of stuff to actually justify my spending. Figure out my summer - I'm desperate to go away. Morocco, I want it so badd! I also want to go to a festival but need to decide when I can go. SS16 is coming up so I'll be doing a trip a month June-August then potentially two in September. Typically Glasto falls during my June trip and a million festivals fall during my August/September trips. Try and switch off from technology a little - I find it so difficult to do this - I work in Events and Marketing so a big chunk of my job is blogging, social media, current events and also doing the whole blogger thing can be as technology heavy. I always try to switch off by 10-10.30pm but I think I need to try and do this and then read before bed. Give meditation a good go - My friend and I have signed up for a Meditation course and I'm really excited about it. I want to persevere as I think it will really help me stay balanced with my moods, stresses and just give me that sense of calm I sometimes feel I need. Have you any goals for this month? Or any cool plans?